Emigration to Australia: nose-to-tail crashes were the most common on roads in and around Canberra. Emigration to Australia: Around one in three incidents (31.4 per cent) in Canberra and the Australian Capital Territory were a result of motorists crashing into the back of another vehicle. More than ten per cent of accidents involved hitting an animal, a figure that is twice the national average. The second most common incident, accounting for around 25 per cent of crashes in the ACT, involved a vehicle hitting a stationary object. Figures for this type of accident are slightly higher than the national average and account for 25.36 per cent of all insurance claims. The new AAMI Crash Index report found that Canberra drivers are below the national average for accidents that are caused by failing to give way. Around 4,090 drivers across Australia were surveyed for the study. Only one in five drivers consider themselves an impatient driver but almost 60 per cent admit to exceeding the speed limit on occasion. The study shows that familiarity with the area does not reduce the importance of safe driving as almost 80 per cent of all accident insurance claims occur within 25 kilometres of the driver’s house. 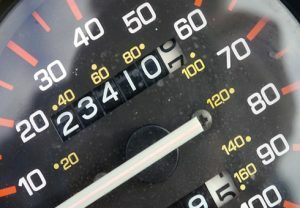 Jake Krausmann of AAMI, authors of the report, said: “With nearly one in three attributing their speed to taking their eye off the speed limit, it reinforces that concentration is key for all drivers.